Gil Scott-Heron was the reason rap didn’t stick for me. People anticipated Gil’s next poetic and prophetic message in spoken or melodic rhymes like hot buttermilk biscuits out of the oven. Always a feast in days of famine. We also have to give props to Scott-Heron’s collaborator and fellow Lincoln University classmate Brian Jackson who is still with us and putting out new riffs. They both saw the power of poetry and music. I remember seeing Gil Scott-Heron in concert. He did the college tour. We were all amazed at how skinny he was. I guess he just grew that way. Gil and his band brought the house down. During a solo, his electric bass player popped a string. Rather than stop, the musician wound and snapped the string off and kept going. I remember him performing “Angel Dust,” “Johannesberg.” Of course, the audience threw in the chorus. One of the best concerts I saw during my entire college years. We all knew about Gil’s addictions. He was a troubled soul who used words like a salve for troubling times. What we may not know is Gill was a teacher at the old Washington, DC Federal City College (now the University of the District of Columbia). You’ll probably only hear about Harlem. But I always considered him a DC music fixture as well. There’s a lot of traffic on my Facebook page from the DC friends. Lots of clicking on links for me this afternoon. May he find peace with the ancestors. It was Nina Simone who introduced me to the music of Bob Dylan. “Just Like a Woman,” “The Ballad of Hollis Brown,” “I Shall Be Released,” “Just Like Tom Thumb’s Blues.” In fact, it would be many years before I heard Dylan sing his own music; what a difference a cover makes. 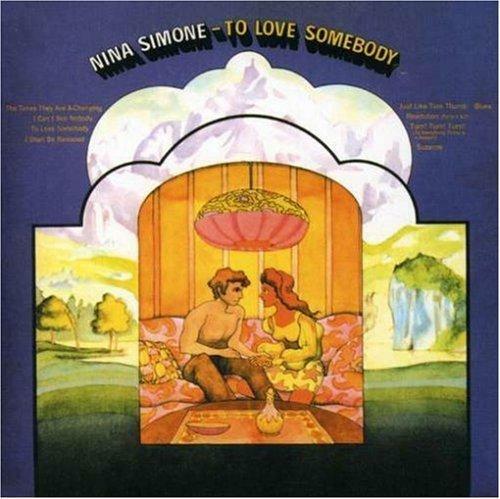 One of my favorite Simone spins on Dylan is his 1963 song “The Times They Are a Changing.” Simone covered this in 1969 on her “To Love Somebody” album. This song comes to mind (Nina’s version) in view of President Barack Obama’s Middle East & North Africa speech and meetings with Israeli Prime Minister Benjamin Netanyahu and AIPAC. The two-state (Palestine/Israel) “solution” entering a new phase within the context of the unknown outcomes of the “Arab spring.” Frustration that change can’t happen fast enough prompting people to lean on old familiar religious, ethnic, and cultural conflicts. Could these be more covers of the same song? I’m sure anyone who’s on the internet more than 5 hours a day has seen/heard this TED presentation by former MoveOn.org Executive Director Eli Pariser based on his new book “The Filter Bubble: What the Internet is Hiding from You.” How is the search engine breaking down conversation by withholding information or tailoring searches based on past searches and interests? How is this a wedge in our ability to talk to one another, to be in community even when we disagree? How do we access new ideas? What kind of thought monopoly have we bought into to keep us stuck in our own opinions? Have we become (in Pariser’s words) “isolated in the web of one” – the new “thought police”? Skip the weekly. Look at the week! The White House releases Barack Obama’s long-form birth certificate. President Obama discusses the release and what’s really important. White House Correspondents Dinner. Born again “birther” Donald Trump gets a thumping by the President. My personal favorite zinger: Michele Bachmann is here. She is considering running for president. Which is weird, because I hear she was born in Canada. Yes, Michele, this is how it starts. Tonight, I can report to the American people and to the world that the United States has conducted an operation that killed Osama bin Laden, the leader of al Qaeda, and a terrorist who’s responsible for the murder of thousands of innocent men, women, and children. Osama Bin Laden body was buried within 24 hours “in accordance with Muslim tradition.” U.S. forces took custody of the body and gave Bin Laden a burial at sea to prevent the making of a grave site shrine by his followers. State Department officials issued warnings and alerts to embassy officials and U.S. citizens traveling abroad in anticipation of retaliation by Bin Laden’s followers and admirers; or fallout from President Obama’s announcement pre-empting “The Apprentice” on NBC.